POLING AGAINST THE CURRENT: Mike Nosbaum's epic mission across Oregon,to raise awareness about Lyme's Disease. by Chicago Toughill | DBP MAGAZINE ONLINE The World's Best Free Whitewater Publication. Our homie Mike Nosbaum is embarking on an epic mission to raise awareness in his canoe for Lymes Disease which has stricken his wife. We caught up with him last Friday to interview him before he put on. He is well under way now! 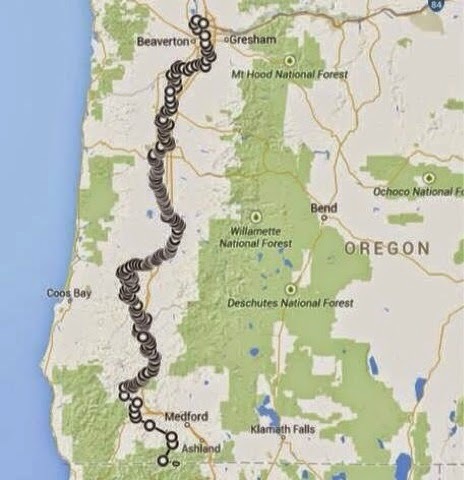 “I would like to invite you all to participate in this crazy paddling trip across Oregon to raise awareness and funds for Lyme Disease diagnosis and treatment! I’ll be paddling, portaging, poling, and lining a canoe from South to North across Oregon. Things are coming together fast! We just picked up Sotar as a sponsor! Just finished a scouting trip to check flows and logistics for the road portages.” Mike launched Sunday. On The River, photo by Darell Warnock. DBP: First off, how is your wife doing these days? Being a Wisconsin paddler myself, I know a few friends who have contracted Lyme’s. What is the long term prognosis? Mike: She is doing much better. She has been in treatment for 1.5 years and just in the last 6 mos she has made some great improvements. If Lyme isn’t caught early it can take a very long time to treat and to recover. Average treatment time can be 3 years and 5-7 years is not rare. With proper treatment you can recover, but it can be very logistically and financially challenging for some people to complete. Many insurance companies balk at the long term antibiotics. And none of them cover the expensive supplements you need to take to fight not only Lyme, but the myriad of co-infections that usually accompany it. Ticks usually don’t just carry one bacteria, but a cocktail of nasty bugs like Babbesia and Bartonella just to name two. In addition some states restrict antibiotic treatment for Lyme to 6 weeks, which is fine if you catch it early, but empirical evidence clearly indicates that long term treatment for Chronic Lyme is effective. Our organization, Oregon Lyme Disease Support Network is currently working with the state legislature to enable MD’s to better treat and diagnose Lyme and the associated diseases. States like CT, CA, WA and a few others already have these procedures in place. Lyme and associated co-infections are present in all of the lower 48, despite common assumptions that it is only a problem on the east coast. DBP: I see you are familiar with the Midwest paddle scene; we are a tight knit community here, thankfully overlooked by the other more popular regions of the country – at least that’s how we always felt. I’ve got to ask: what’s your favorite run in Wisconsin? Mike: That is really hard to pin down. I’d have to say the slalom course at Wausau. Because slalom did so much for my paddling. I can’t recommend slalom enough to everyone. It takes you from just bombing down the rapid to using every feature, every little wave and hint of an eddy to get the river doing the work for you. 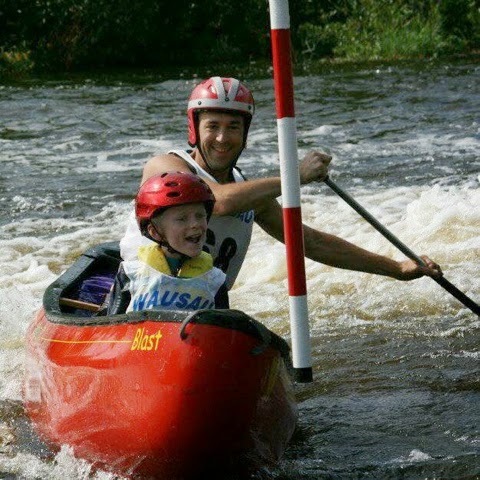 Plus, getting on the Buttercup Circuit hooked both of my kids into paddling! DBP: Poling a canoe is a lost art of sorts. I think it’s a great way to raise your visibility, doing something so unique. Tell us how you got into it? 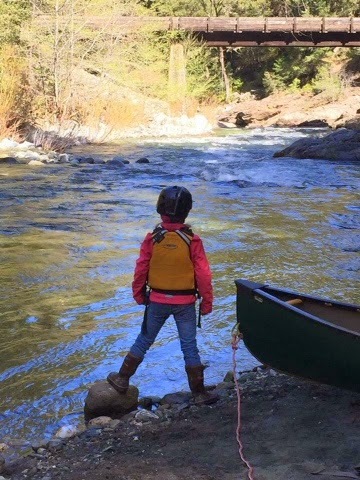 Mike: Poling opens up so many waterways that you may have missed because they’re too shallow, low flow or too remote to run shuttle, you think you know every river in your area and then bam, you get poling skills and everything opens up. Also, if you’re a canoe geek like me, you can really appreciate the diversity of the canoe. In the same 16ft canoe you can comfortably paddle open waters, pole up and downstream, and run some pretty stout rapids. With a kayak you’d need 3 different boats to get that all done. For this trip I’ll use a 16ft Wenonah Prospector. It has enough rocker and secondary stability to handle all of the waterways I’ll encounter. DBP: You get outside a lot with the family – that is so awesome! How has your family’s battle affected this? How have the kids overcome the obstacles? Mike: Well, we utilize a lot more tick bite prevention techniques than we used to. Everything you’ve always heard, especially if you have children. Wear light clothing so you can see them. Tuck pants into socks or wear gators, frequent tick checks after being out in the boonies. Probably the biggest source of ticks we have are the family pets. We don’t let the dogs and cats sleep with the kids anymore. That’s probably been the hardest for the kids. DBP: This is always a fun question to ask a paddler: what’s your favorite boat? How would you describe yourself as a boater? Mike: My favorite boat is whichever one my kids want to paddle in. I’m a diehard canoeist but I’ll probably get in a raft here pretty soon. I held my nose and signed my 11yr old up for kayak camp this summer! I would LOOOOVE to get my hands on anything from Blackfly though. Those boats are nearly impossible to find on the west coast. (HINT: Blackfly, sponsorship opportunity here! wink wink nudge nudge!). It was really tragic to see Esquif disappear this year. I’ll be hanging onto my Nitro till the hull wears through now. DBP: Tell us a bit about the stretches you will be undertaking on your journey. 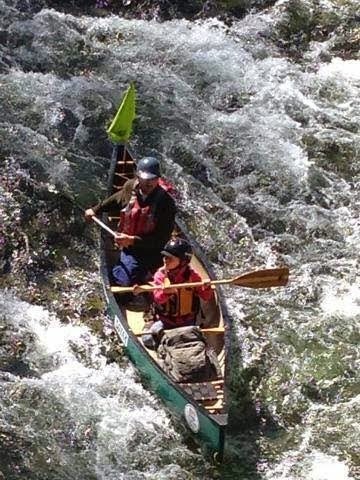 Any whitewater, or miserable portages? Any cool natural wonders along the way? What excites you the most about the trip? 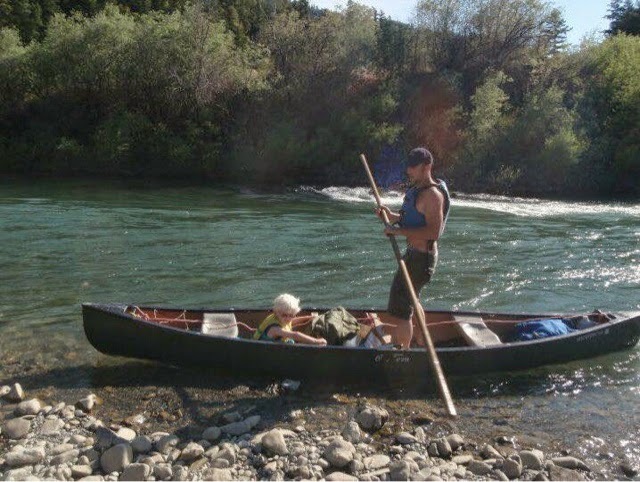 Mike: The Hog Creek to Grave Creek section of the Rogue offers some class II/II+ that actually is pretty exciting in a fully loaded 16ft canoe (there may be a WALLACE moment!). There are two 20mi portages, one of which offers some pretty decent altitude, the other a 3 mi railroad track route. OSP has informed me that I cannot take a canoe on the I5 so I will have to accept a 16mi car ride from the Rogue to Umpqua drainages. I’m really most concerned about low flows on the Applegate River, Elk Creek, and Coast Fork Willamette. One of the biggest challenges is the significantly below average snowpack this year. The canoe hull could suffer. Poling downstream actually will save the hull quite a bit of wear, you can stop, back up, and reorientate in the shallow riffles to avoid excessive scraping. As far as natural wonders, I just found out about Willamette Falls, a 40ft natural drop near Oregon City on the Willamette, it’s in a very industrial section of the Portland area. Still hoping to hear from someone who knows the portage route for that one! 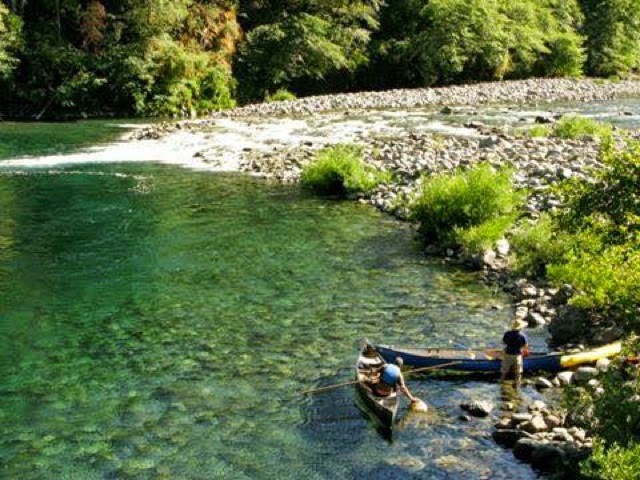 The Umpqua River is an often overlooked treasure. Translucent blue at the right flows and full of big holes with big fish! DBP: With your background in the Coast Guard and as an avid outdoorsman, I’m very interested to ask: what goes into your pack on a journey like this? Give us a couple pointers please. Mike: Ah, the beauty of the canoe! I can pack a fair amount of gear! I’ve forsaken a few traditional items to save space and weight. I’ll carry a machete instead of an axe. Thanks to our Sotar sponsorship I’ve foregone the canvas packs for some drybags. My favorite little trick, despite mid 30’s overnight temps I can get away with a summer bag with the help of those shake up disposable hand warmers. Throw one of those in the bottom of your bag and it’ll nearly cook you! I don’t have a road crew or support beyond “river magic” along the way so I’ll be carrying nearly everything I need for the trip. Wilderness travel style. I always carry a z-drag kit, and a fairly burly waterproof first aid kit. Paddling solo, you have to hold up and take stock often, small mistakes that may not be a big deal in a group can become significant issues alone. DBP: The Dirt Bag Paddlers are pretty stoked to be able to help with a small donation of cash. How can others get you funds to support your mission? And is there any other way that local Oregonian dirtbags can assist you? 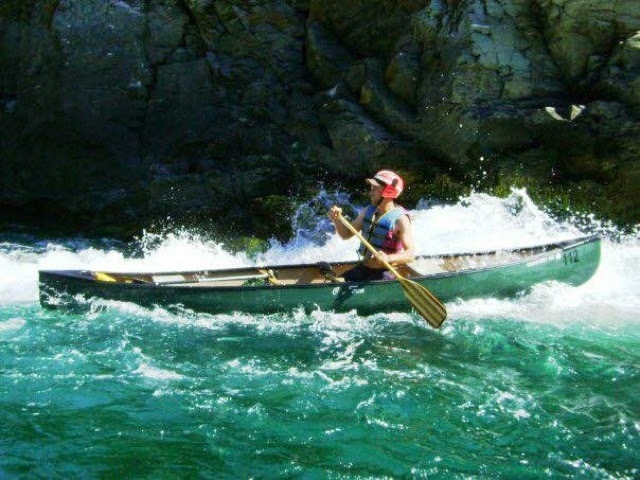 Mike: Like us on FB https://www.facebook.com/PaddleOregon?ref=ts&fref=ts and share gratuitously! There is a paypal button on the FB site. If you don’t do FB you can go directly to https://mobile.paypal.com/us/cgi-bin/webscr?cmd=_express-checkout-mobile&useraction=commit&token=EC-67G13687FR907173G#m to donate and support Lyme specific training for enthusiastic Oregon MD’s and Nurse Practitioners. Anyone that wants to paddle along can contact us on FB, all are welcome! The more the merrier! DBP: Good Luck on your trip, Mike! We are excited to follow along as you go. One last question – we understand that WHEN all goes well, you might be considering a cross country mission next year? Any tidbits? Mike: I’m so busy with this trip, I’ve only sorted out the western part of the cross country route. (see attachment) We’re open to suggestions on how to connect to Lyme County Connecticut. Let your readers tell us what their preferred route would be!